Your feet and ankles move and flex in many ways, as the base of your ability to stand, walk or run; whichever your sport calls for, we can help. Chronic exertional compartment syndrome (CECS), which occurs when leg muscles swell and create pain and pressure, causing numbness in the foot, cutting off vascular supply and impeding movement. Ankle sprains, which usually occur when the ankle is twisted and ligaments are injured or torn, causing inflammation and bruising. Plantar fasciitis, an inflammation of the tissue at the bottom of the foot, making it painful to walk. Tendonitis, the inflammation of a tendon due to repeated use, causing pain and soreness around a joint. The Achilles tendon connects your heel bone to muscles in your calf. Every time you run and jump, you use this tendon. A tear can happen when you push off your feet, break into a run or make a stop-and-start move. Another common foot and ankle sports injury is a stress fracture. Sports that involve a lot of running and jumping, like basketball, soccer and track and field result in overuse injuries of the leg, foot and ankle. This can often lead to a small crack in bones, especially the shinbone (tibia) and bones in the foot called the metatarsals. 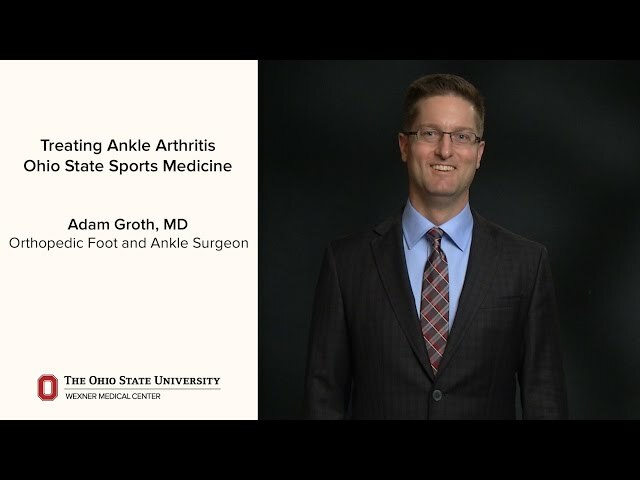 Dr. Adam Groth outlines the causes of, and options for treating ankle arthritis and how to determine what may be right for you. Dr. Tim Miller discusses a typical approach to caring for a sprained ankle, a common injury that can range from a simple stretching injury to a complete tear of the ligaments. 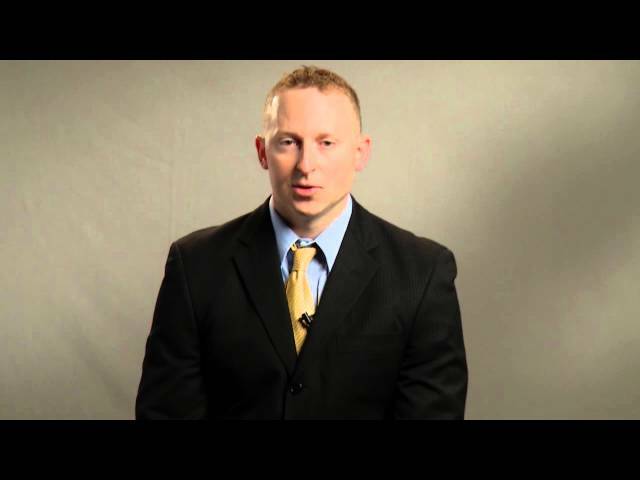 Dr. Adam Groth explains the appropriate treatment to help expedite recovery of an ankle sprain. Your physician may use musculoskeletal ultrasound to diagnose conditions such as an Achilles tendon tear. Musculoskeletal ultrasound improves accuracy when treating you with steroid injections in the office, and it is used for deeper joints, joints with poor anatomic landmarks and joints with little to no joint space. This technique uses sound waves to create images of the joint and to identify the needle used to inject the joint helping the physician guide it to the affected area. This technique is done in the office and does not expose you to any radiation. Depending on the risk assessment of your injury, you may be able to heal by backing off on activity, reducing the intensity of training and using healing aids. Immobilization with a splint or protective boot or the use of crutches can be effective for Achilles tear and certain stress fractures. There are two types of surgery for Achilles tendon tears. One involves reconnecting the tendon through an incision made in the back of your leg. The other involves sewing the tendon back together through various small incisions. A cast, walking boot or similar device is usually worn after surgery for about six to eight weeks. Full recovery can take up to six to nine months. More than 80 percent of people who have Achilles tendon surgery are able to return to pre-injury activities, including sports. Factors like rehab and physical therapy can make a big difference in the speed and success of healing. Surgery may be necessary to correct problematic foot stress fractures. Special orthopedic devices are used in this procedure to support the affected bones. Screws, or pins, and plates hold the small foot and ankle bones together for them to heal. After surgery, a gradual return to activity can be initiated once your stress fracture has healed. Resuming activity too quickly can lead to more significant stress fractures that will take even longer to heal. If reinjured, the stress fracture may never properly heal. Rehab and physical therapy can help you avoid traumatizing the affected area and experiencing a repeat injury. But the best treatment of all is prevention. A consultation with our specialists can lead to early detection of a stress fracture, and initiating a rehabilitation program can keep you active, on the field and injury-free. Surgeons use needle manometry – a needle fixed with a pressure gauge – to monitor the pressure created with chronic exertional compartment syndrome. Once the condition is diagnosed, the surgical procedure to release the pressure involves making a slit in muscle casing to give the muscle more room to expand when activity demands it. 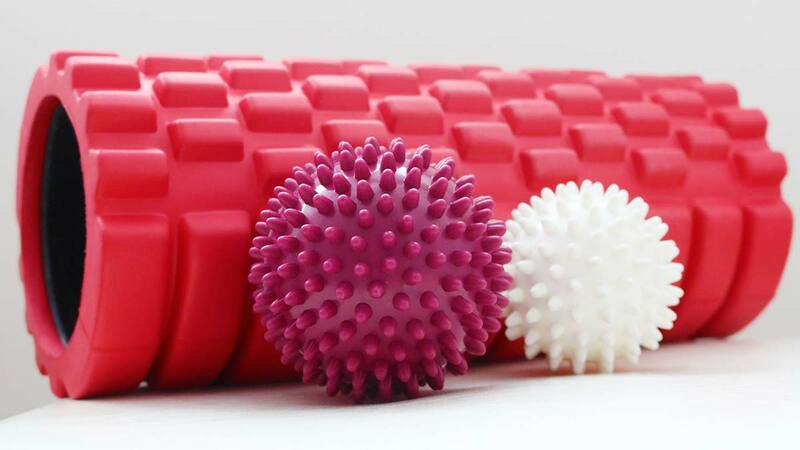 This relieves the pressure and helps restore blood flow, which diminishes foot numbness and allows you to resume regular activity. 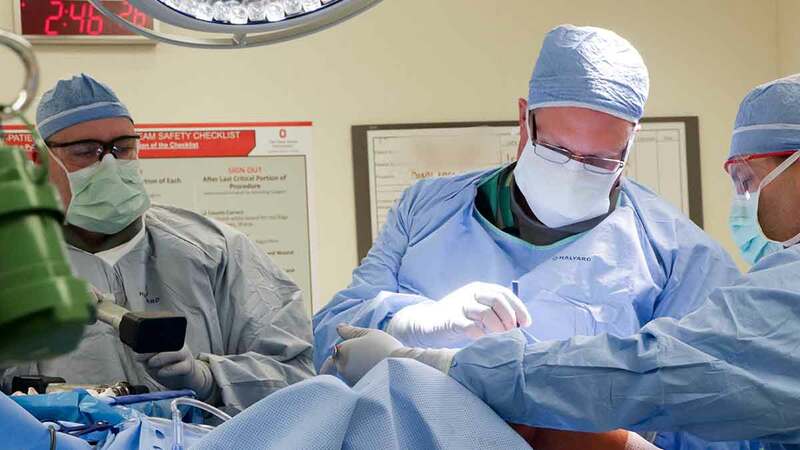 Why choose The Ohio State University Wexner Medical Center for treatment of sports-related ankle and foot injuries? Diagnostic expertise: Our medical specialists published the first-ever system for diagnosing and classifying stress fractures that physicians at other institutions refer to. Expert Care: Our surgeons have extensive experience repairing Achilles injuries. With in-depth focus on their area of specialty, our highly skilled surgeons offer comprehensive treatment that leads to better and faster results for you. We offer fellowship-level physician care and physical therapy, which means our providers have completed up to two years of intense, specialized experiential training in the field. 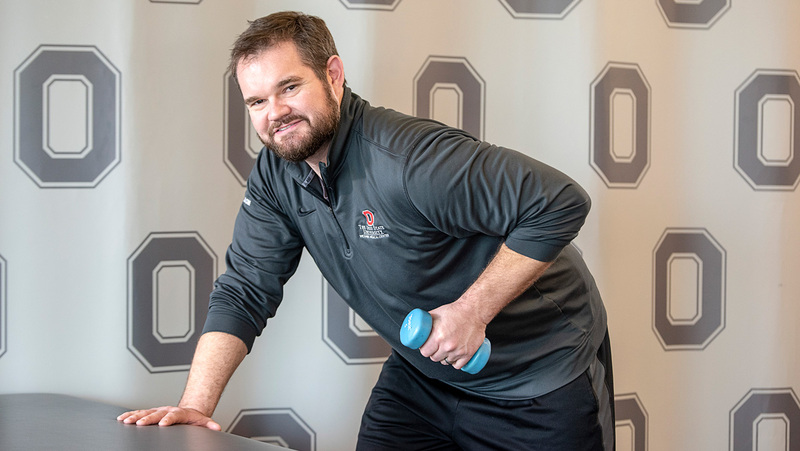 Experience: As the sideline care providers for more than 5,000 central Ohio competitors and performers, including Ohio State’s athletes and varsity teams, we have the experience to help maintain better health and athletic performance. Korban was a track and field athlete at The Ohio State University from 2010-2013, and currently competes professionally in long jump. Here he discusses his foot injury and his treatment at Ohio State Sports Medicine.